Popped, not fried. 95 calories per serving. Naturally delicious. Give your taste buds a spanking. Gluten free. No artificial anything. Suitable for vegans.This is no-fry zone. Boiling in oil used to be something you did to your enemies. But crisp makers do it to potatoes. They must really hate potatoes. We don't, we love them. We take potatoes, add heat and pressure, then pop! It's a perfectly seasoned chip that tastes as good as fried. 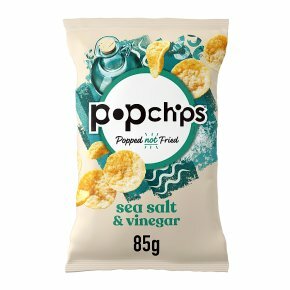 So eat popchips, and feel the love in every bite.